24 Yorktown Dr #24, Springfield, MA 01108 (MLS #72372400) :: NRG Real Estate Services, Inc. Desirable Georgetown Townhouse. This 1020 square foot unit features Living room w/ laminate flooring, closet and half bath, Kitchen w/ granite counter tops, island, appliances remain for the buyer, stunning brick wall in dining area with slider leading to private patio. Second floor features 2 bedrooms w/ hardwood floors, and large closets, Full bath w/solid surface vanity top, Condo fees include Gas for heat, hot water, and cooking. Amenities include In-ground Pool, tennis courts and Clubhouse. 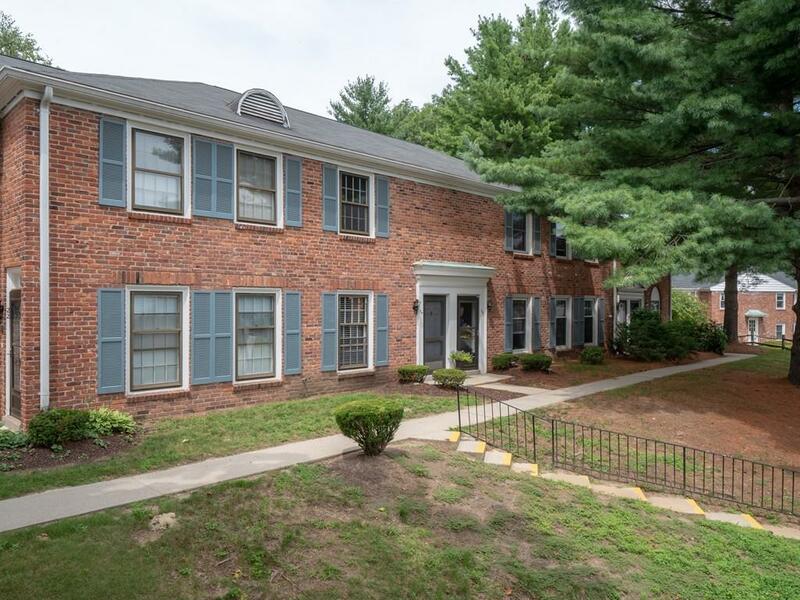 Centrally located on the Longmeadow and Springfield line providing easy access to Highways, Colleges, Hospitals, Parks, Restaurants and Shopping. Unit is located in a quiet building w/ easy access to parking. Ideal for owner occupied or investor.. Book your private showing today!